We often have a habit of making things worse than they need to be. Everyone does it, at least from time to time, and everyone could do with the reminder. 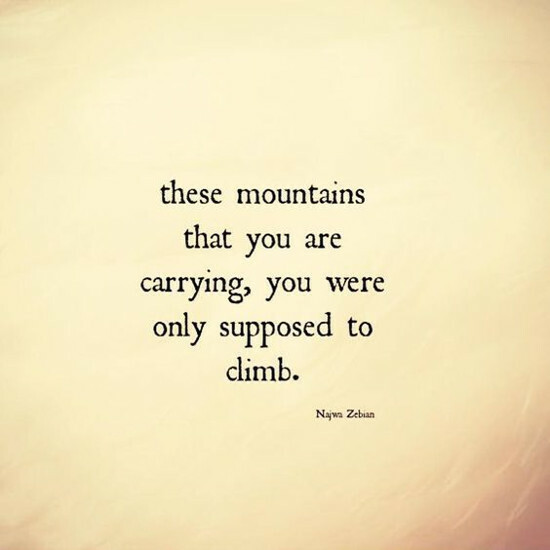 Mountains are for climbing. Go as high as you can, enjoy the view and learn what you can learn. When you have done that, move on. Do not take the mountain with you. It isn't meant to go. Life has enough challenges without creating more.